We now have Dubia roaches for sale! 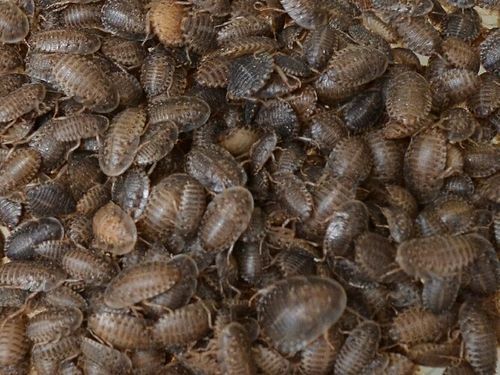 We have a variety of sizes of dubia roaches for sale at reasonable prices. Dubia roaches are an excellent feeder for any size bearded dragon and many other reptiles, amphibians or fish. 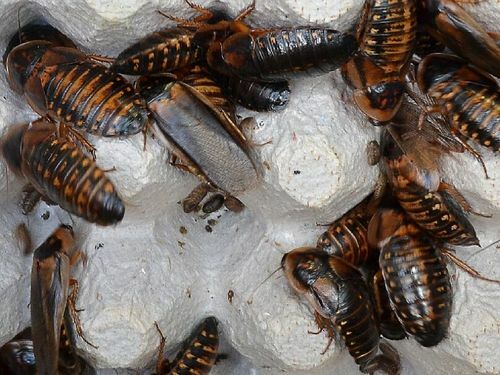 The dubia roaches for sale are bred here in our facility, these are currently ‘over-stock’ that we simply cannot feed off in a timely manner. NOTE :: Dubia Roaches are cold-intolerant feeders and heat packs are required in order for them to survive winter transit. These must be added to your order below. *We recommend one heat pack per order – under 45 degrees. We currently ship feeders on Mondays and Tuesdays ONLY – unless added to a dragon order. Any orders placed after NOON (EST) Tuesday will be shipped the following Monday. The perfect feeding size for all dragons! Just call and we’ll add them to your dragon shipment. Dubia roaches can be placed in any container (plastic tub or glass aquarium) that allows for good ventilation. Egg flats propped vertically in the container will give the roaches plenty of a surface area to crawl on. Dubia Roaches do well at room temp. We feed our dubia roaches roach chow and fresh fruits / vegetables. (Remember to soak the chow in water for easier digestion.) Foods such as greens, squash and oranges are all great for providing moisture. Every item we provide is a source of moisture and also a nutrient source. Be sure to remove old food and replace it with fresh food daily to avoid spoilage. If you find excess food left over, just reduce the amount you are feeding. Note — A lack of moisture will most likely result in cannibalism.